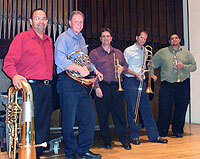 April 30, 2013 — The University of Wyoming Department of Music spring Faculty Recital Series concludes with “Brass Extravaganza,” at 3 p.m. Sunday, May 5, in the Fine Arts concert hall. The program is free and open to the public. April 30, 2013 — Five University of Wyoming students are the recipients of Northern Arapaho Endowment Scholarships for the coming summer session and the 2013-2014 academic year. 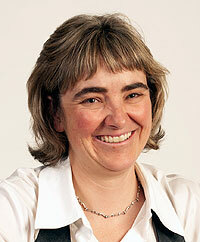 April 30, 2013 — University of Wyoming Eminent Artist in Residence Judy Pfaff has been elected a member of the American Academy of Arts and Sciences. 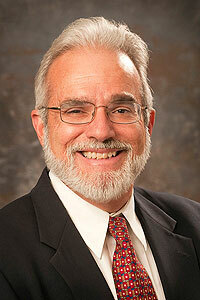 April 30, 2013 — The University of Wyoming Board of Trustees will hold a special meeting Wednesday, May 1. April 30, 2013 — A University of Wyoming student has been cited for interference with a police investigation in connection with a post on a non-university-affiliated Facebook page that included a reference to sexual violence. 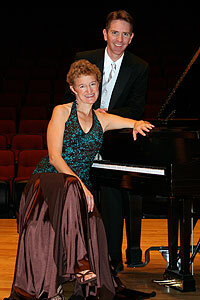 April 30, 2013 — The University of Wyoming Symphony will perform Verdi’s tragic opera “La Traviata” at 7:30 p.m. Thursday, May 2, in the Fine Arts concert hall. 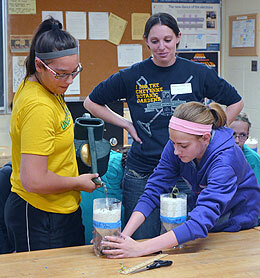 April 30, 2013 — Nearly 700 female high school and middle school students from Wyoming will converge on the University of Wyoming Tuesday, May 14, to discover their potential future -- one that may very well include a career as a scientist or an engineer. 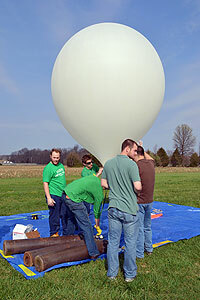 April 30, 2013 — Middle and high school students and teachers from four Wyoming schools will have a chance to get carried up, up and away with their scientific research at the University of Wyoming. April 29, 2013 — For nearly 22 years, Charles Dolan taught the importance of building a solid foundation with structural integrity. And he often did it with cultural flair, citing the Sword of Damocles as a metaphor for the consequences of structural failure or quoting Babylonian King Hammurabi to demonstrate the outcome -- in the king’s words, death -- of faulty construction. 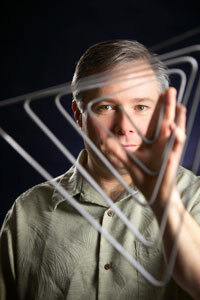 April 29, 2013 — Doug Russell continuously draws praise for his teaching style and devotion to students. 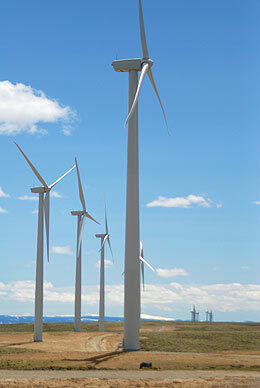 April 29, 2013 — A worldwide expert on renewable energy and energy efficiency will speak Wednesday, May 1, at the University of Wyoming. 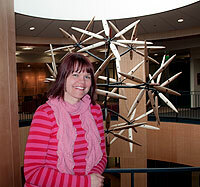 April 29, 2013 — Turning traditional course design upside down, her enthusiasm for teaching and her drive for students to succeed are among reasons assistant professor Naomi Ward has received the University of Wyoming’s highest teaching honor. April 29, 2013 — When fellow faculty members in the University of Wyoming Department of English try to describe the teaching style of Associate Professor Peter Parolin, “deft” and “amazing” are words that repeatedly emerge. That’s no small accolade, considering the large number of the department’s faculty members who have received teaching awards in the past. They know that Parolin stands above the rest. 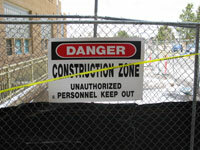 April 29, 2013 — University of Wyoming President Tom Buchanan has authorized one hour of release time for interested faculty and staff members to participate in the annual Campus Cleanup Day scheduled from 1-3 p.m. Tuesday, April 30. 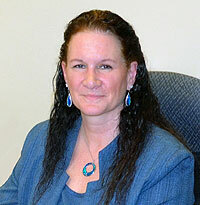 April 29, 2013 — The University of Wyoming offers an anonymous text tip program that will help create a safer community. Tip411 is an Internet-based tool that enables the public to text message anonymous tips to the university police and lets police respond, creating a two-way anonymous chat. April 29, 2013 — Students, parents, faculty, staff, alumni and the public should find it easier to be informed about what’s happening at the University of Wyoming by accessing the newly renamed WyoCal calendar. 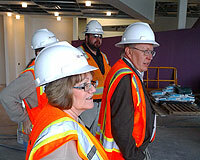 April 29, 2013 — A $27 million renovation and addition project at the University of Wyoming’s Half Acre Gym will begin Monday, May 13. April 29, 2013 — Members of the university community this week are invited to participate in public forums and then offer input on the candidates for the position of dean of the University of Wyoming Outreach School. April 29, 2013 — Members of the University of Wyoming Nordic ski team will collect any unwanted items from UW students as part of their "Trash 2 Treasures" fundraiser and community project. 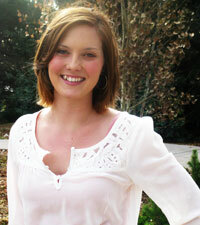 April 26, 2013 — Amanda King, who will graduate in May with an international studies degree with specialization in the Middle East and Africa, is the recipient of the Rosemarie Martha Spitaleri Award as the University of Wyoming's outstanding graduating woman. April 26, 2013 — The University of Wyoming Department of Music Faculty Recital Series continues with “Saxophone Masterworks” at 3 p.m. Saturday, May 4, in the Fine Arts concert hall. The program is free and open to the public. April 26, 2013 — Ty McNamee, a Shoshoni High School graduate, is the 2013 winner of the Tobin Memorial Award as the University of Wyoming's outstanding graduating man. April 26, 2013 — The final day to see the University of Wyoming Art Museum exhibition, “Photography from the Twentieth Century: The Art Museum Collection, Part II,” is Saturday, April 27. April 26, 2013 — A weekly look at Wyoming business questions from the Wyoming Small Business Development Center (WSBDC), part of WyomingEntrepreneur.Biz, a collection of business assistance programs at the University of Wyoming. April 25, 2013 — Paula Weems, office assistant, senior with the UW Admissions Office, today (Thursday) was named the University of Wyoming's outstanding employee of the year during the annual Staff Recognition Day at UW. April 25, 2013 — Musical ensemble “Air Dubai“ will perform at 8 p.m. Wednesday, May 1, in the University of Wyoming Union Ballroom. April 25, 2013 — A monthly look at the night skies of the northern Rocky Mountains, written by astronomers Ron Canterna, University of Wyoming; Jay Norris, Challis, Idaho Observatory; and Daryl Macomb, Boise State University. April 25, 2013 — For decades, introductory statistics has been taught in universities and high schools with traditional approaches that emphasize techniques and tools over practical applications. April 25, 2013 — Three graduate students in the University of Wyoming Global and Area Studies Program will present the results of their international field work at presentations in Sheridan and Cody. 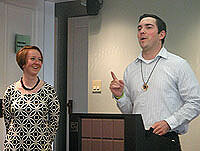 April 25, 2013 — This year’s Wyoming State Big Brother and State Big Sister are Michael McNamee, a UW Admissions representative and graduate student in public administration and environment and natural resources; and Stacie Faxon of Laramie, a University of Wyoming junior majoring in elementary education and English. April 24, 2013 — With three semesters remaining before he graduates from the University of Wyoming, Shawheen Amirkhizi, an accounting junior from Evanston, already runs his own business. The next step: grow his small independent company into a top competitor in its specialty field. April 24, 2013 — The Wyoming Chapter of Sigma Alpha Epsilon will honor a number of University of Wyoming alumni Saturday, April 27. April 24, 2013 — We readily speak of “American Christianity” and “American Judaism” and are even wrapping our minds around the notion of “American Buddhism,” particularly on the west coast. So why does the notion of “American Islam” strike us as strange? April 24, 2013 — Researchers at the University of Wyoming Carbon Management Institute (CMI) discovered a vast new lithium resource near Rock Springs during a geological carbon dioxide storage site characterization project sponsored by the U.S. Department of Energy. April 23, 2013 — Female musical comedians Carlie and Doni will perform at 9 p.m. Friday, April 26, in the Wyoming Union Ballroom. April 23, 2013 — It may be too late for the University of Wyoming Cowgirls to send a full team to June’s College National Finals Rodeo (CNFR), but the Cowboys still have a chance. 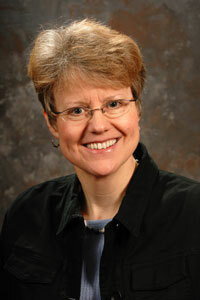 April 23, 2013 — The University of Wyoming’s Office of Academic Affairs has invited three candidates to interview for the position of dean of the Outreach School, a position that Maggi Murdock will leave at the start of fall semester 2013, when she assumes full-time duties as a professor of political science. 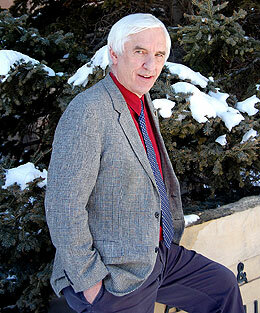 April 23, 2013 — Oliver Walter, the longest-serving College of Arts and Sciences dean in University of Wyoming history, and three women who wore the crown as Miss Wyoming will be among speakers during UW commencement ceremonies Saturday, May 11. April 23, 2013 — University of Wyoming students will showcase upper-level junior and senior graphic design portfolios from 6-8 p.m. Friday, May 3, in the Visual Arts Building lobby. April 22, 2013 — When teaching online courses, it is often difficult to get to know the students on a personal level, but the way Christi Boggs approaches her subject matter makes distance learning a joy for her students. 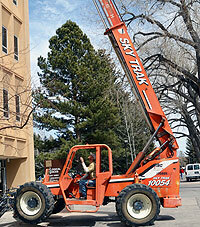 April 22, 2013 — The campus cleanup scheduled to take place today (Monday) has been canceled due to the snowstorm. April 22, 2013 — University of Wyoming Information Technology’s annual computing survey is now available for faculty and staff. 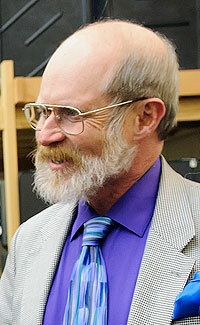 April 22, 2013 — A world-class scientist and entrepreneur who goes out of his way to help his students and colleagues has won the University of Wyoming’s highest faculty honor. April 22, 2013 — University of Wyoming Libraries has presented its Outstanding Staff Award to Nancy Cyrus Marlatt, marketing and public relations coordinator. The award recognized her contributions during 2012. April 22, 2013 — University of Wyoming President Tom Buchanan has granted up to two hours of release time to attend Staff Recognition Day that begins at 10 a.m. Thursday in the Crane-Hill Dining Hall. More than 275 employees will be honored at the event. April 22, 2013 — Members of the Mortar Board, the senior honor society at the University of Wyoming, selected UW staff members to receive the “Tip of the Cap” award. The award honors those who offered “exceptional contributions to the University of Wyoming and inspiration of students." April 22, 2013 — Singer and songwriter ZZ Ward will perform at 8 p.m. Wednesday, April 24, in the University of Wyoming Union Ballroom. April 22, 2013 — Members of the University of Wyoming Nordic ski team will collect any unwanted items from UW students as part of their "Trash 2 Treasures" fundraiser and community project. April 19, 2013 — More than 300 students will be recognized for academic excellence, service and campus leadership during the University of Wyoming’s annual Torchlight Laurels Friday, April 26, at 7 p.m. in the Wyoming Union Ballroom. 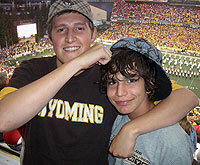 April 19, 2013 — University of Wyoming students Wil Chapple and James Mouton are experiencing something that many other undergraduates do not experience early in their college careers -- the chance to conduct meaningful research before they graduate. April 19, 2013 — A barbecue, film, speaker and a campus cleanup are among activities scheduled to commemorate Earth Day 2013 Monday, April 22, at the University of Wyoming. April 19, 2013 — A weekly look at Wyoming business questions from the Wyoming Small Business Development Center (WSBDC), part of WyomingEntrepreneur.Biz, a collection of business assistance programs at the University of Wyoming. April 18, 2013 — The University of Wyoming Flute Quartet will present a free concert Wednesday, April 24, at 2 p.m. in the Berry Biodiversity Conservation Center. April 18, 2013 — Revealing insight into the life of the young Mozart will be offered during the University of Wyoming Faculty Senate Speakers’ Series talk Wednesday, April 24, at 4 p.m. in the Fine Arts concert hall. April 17, 2013 — —“Graphic Designers’ Portfolios and Real World Applications” -- by Emily House, Jessica McKibben and Kira Cheshier -- will be displayed through Friday, April 26, in Gallery 234 in the lower level of the University of Wyoming Union. 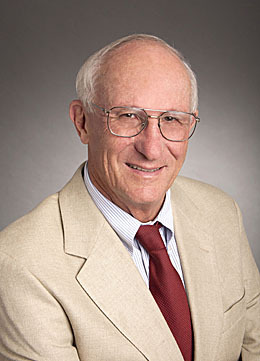 April 17, 2013 — Robert Nordhaus, one of the nation’s leading experts on energy law and policy, will be the inaugural speaker Thursday, April 25, for the University of Wyoming’s new Center for Law and Energy Resources in the Rockies. April 17, 2013 — The piano recital by Chin-Chuang Chang that was scheduled for Sunday, April 21, as part of the University of Wyoming Faculty Recital Series, has been canceled. 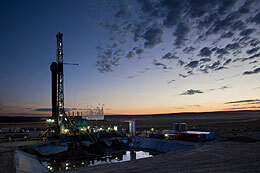 April 17, 2013 — The University of Wyoming is offering employees and retirees an opportunity to choose the negotiated natural gas rate under the Choice Gas program. Employees who have not selected a supplier and rate have until 5 p.m. Tuesday, April 23, to sign up for the special UW rate. April 16, 2013 — The University of Wyoming College of Law‘s “3.1 Fun Run” Saturday, April 20, will help this year’s graduating class fund a gift to the college. 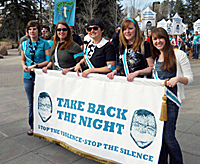 April 16, 2013 — Take Back the Night, an event to raise awareness of sexual violence, begins with a rally Thursday, April 18, at 7 p.m. on Simpson Plaza at the University of Wyoming. April 16, 2013 — The renowned comedy improv group, the Upright Citizens Brigade Touring Company, performs Friday, April 19, at 9 p.m. in the University of Wyoming Union Ballroom. April 16, 2013 — For only the third time in school history, University of Wyoming debate team members reached the sweet 16 of the Cross-examination Debate Association (CEDA) national championships. April 16, 2013 — By UW Police Chief Mike Samp We at the UW Police Department remind all students, faculty and staff to monitor, lock and secure all personal items. April 15, 2013 — The Employees’ Group Insurance (EGI) will conduct an audit of covered dependents under the state of Wyoming health and dental insurance plans. 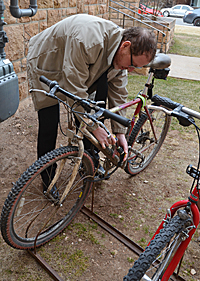 April 15, 2013 — University of Wyoming President Tom Buchanan has authorized one hour of release time for interested faculty and staff members to participate in the annual Campus Cleanup Day scheduled from noon-3 p.m. Thursday, April 18. Check-in will be located in Simpson Plaza. 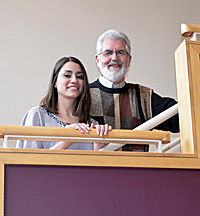 April 15, 2013 — Bruce Culver, director and professor in the School of Pharmacy, and Kristy Isaak, accounting associate, senior, in ASUW, were named the 2012-2013 recipients of the University of Wyoming’s James C. Hurst Each Student-A Person award. 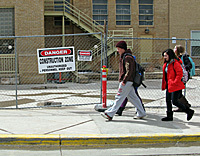 April 15, 2013 — University of Wyoming officials advise pedestrians, bicyclists and motorists to be cautious of possible disruptions caused by increased construction activity on campus. April 15, 2013 — A workshop using author James P. Owen’s “Cowboy Ethics” book as its organizing concept is being used by the University of Wyoming College of Business and the Center for Cowboy Ethics and Leadership. 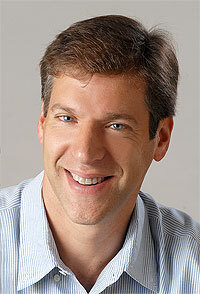 April 15, 2013 — Associate Professor of Law Noah Novogrodsky’s efforts to ensure University of Wyoming students have opportunities to hone their skills in international law have earned him UW’s 2013 Faculty Award for Internationalization. 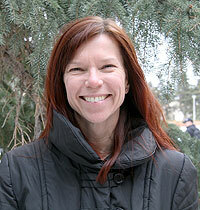 April 15, 2013 — The University of Wyoming offers an anonymous text tip program that will help create a safer community. Tip411 is an Internet-based tool that enables the public to text message anonymous tips to the university police and lets police respond, creating a two-way anonymous chat. 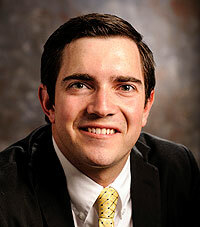 April 15, 2013 — University of Wyoming students have elected Brett Kahler of Casper, a communications senior, as president of the Associated Students of the University of Wyoming (ASUW). April 12, 2013 — Two junior University of Wyoming College of Education faculty members will receive two years of financial support for their research agendas from the Mary Ellbogen Garland Early Career Fellowship. April 12, 2013 — The University of Wyoming will confer its highest award, the honorary doctoral degree, upon two individuals who are recognized internationally as leaders in their professions. April 12, 2013 — A weekly look at Wyoming business questions from the Wyoming Small Business Development Center (WSBDC), part of WyomingEntrepreneur.Biz, a collection of business assistance programs at the University of Wyoming. April 11, 2013 — The University of Wyoming will play host to the 2013 Fly Fishing Film Tour Thursday, April 18, in the College of Education auditorium. Doors open at 6:30 p.m., and the show starts at 7 p.m.
April 11, 2013 — Run Josh Run, a 24-hour event to raise money for the University of Wyoming Engineers Without Borders (EWB) organization, will start at 10 a.m. Saturday, April 20, at UW’s Madrid Sports Complex. 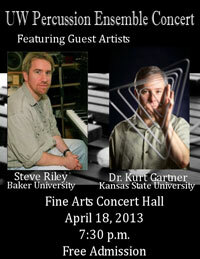 April 11, 2013 — The University of Wyoming Department of Music Percussion Ensemble will perform at 7:30 p.m. Thursday, April 18, in the Fine Arts concert hall. Admission is free and open to the public. April 11, 2013 — The University of Wyoming is making special provisions for visitors who plan to attend next week’s presentation by acclaimed historian and author David McCullough. April 11, 2013 — A $2 million contribution from the Knobloch Family Foundation and gifts from other contributors will support an endowment for a new faculty position in conservation economics and finance at the University of Wyoming. 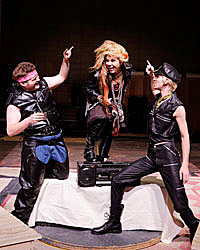 April 11, 2013 — Misrule rules the day in the topsy-turvy world of “Twelfth Night, Or What You Will,” which closes the University of Wyoming Department of Theatre and Dance 2012-2013 production season. 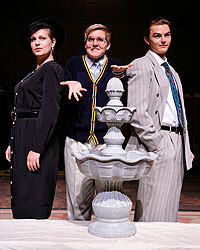 Performances are scheduled April 23-27 at 7:30 p.m. and April 28 at 2 p.m. on the Fine Arts main stage. April 10, 2013 — Last weekend's fifth annual University of Wyoming American Cancer Society Relay for Life raised $24,000 to support the society’s mission of saving lives from cancer. 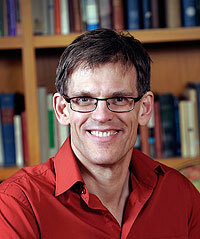 April 10, 2013 — University of Wyoming Department of English Professor Cedric “Ric” Reverand will be the speaker at the inaugural Buchanan Lecture that honors retiring UW President Tom Buchanan. April 10, 2013 — University of Wyoming faculty members who are interested in using the National Center for Atmospheric Science (NCAR)-Wyoming Supercomputing Center in Cheyenne for their computational research have until May 15 to submit an application to request a large core-hour allocation on the powerful machine. 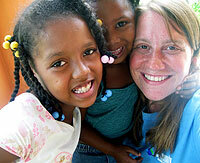 April 10, 2013 — There are several locations which Christians immediately associate with the life of Jesus. There is Bethlehem, in Judea, where Jesus was born; Nazareth, in Galilee, where he grew up; and Jerusalem, where he was crucified. These are the places where Jesus began and ended his life. But the places where Jesus carried out his ministry are less familiar. April 10, 2013 — University of Wyoming Eminent Artist in Residence Judy Pfaff will present a public art talk Monday, April 15, at 7 p.m. and an informal gallery walk-through Tuesday, April 16, at 10:30 a.m. at the UW Art Museum. 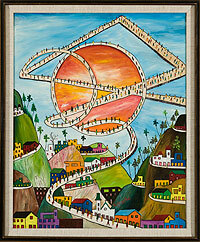 April 9, 2013 — A new exhibition of Haitian paintings can be seen through Saturday, May 11, at the University of Wyoming Art Museum. April 9, 2013 — University of Wyoming students will present a wide range of business plans Friday, April 12, in the John P. Ellbogen $30K Entrepreneurship Competition at the College of Business Building. 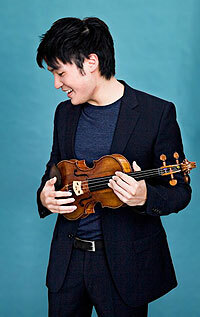 April 9, 2013 — The current spring snowstorm has forced postponement of tonight’s UW Cultural Programs concert featuring violinist Ray Chen, as travel closures have prevented him from making it to Laramie. April 9, 2013 — Fourteen University of Wyoming students are among members of a Wyoming Army National Guard unit that will be honored at a deployment ceremony at 3:30 p.m. Thursday, April 11, at the UW Arena-Auditorium. April 9, 2013 — Stevie Starr, known as “The Regurgitator” who swallows items and then regurgitates them, will perform at 9 p.m. Friday, April 12, in the University of Wyoming Union Ballroom. 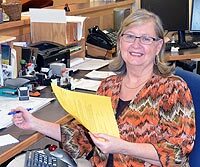 April 8, 2013 — Universally praised for her strong work ethic and can-do attitude, Department of Civil and Architectural Engineering Accounting Associate Senior Cherie Kelley is the University of Wyoming’s Outstanding Staff Employee of the First Quarter. 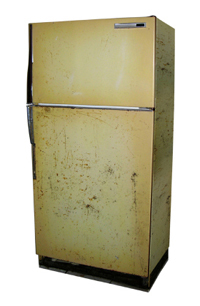 April 8, 2013 — Those old refrigerators on the University of Wyoming campus waste energy, cost a lot of money to maintain and may even pose an ozone hazard. April 8, 2013 — All University of Wyoming retirees and near-retirees are invited to attend the April meeting of the UW/State Retirees of Albany County at 10 a.m. Monday, April 15, at the Eppson Center for Seniors, 1560 N. Third St.
April 8, 2013 — The University of Wyoming Employee Handbook has been updated. The Employee Handbook applies to all benefited employees, and includes a section for non-benefited employees. Updates to the document include changes mandated by federal law and updates to current UW business practices. April 8, 2013 — Led by its strong contingent of ropers, the University of Wyoming men’s rodeo team placed first at last weekend’s Lancer Rodeo at Eastern Wyoming College (EWC) in Torrington. 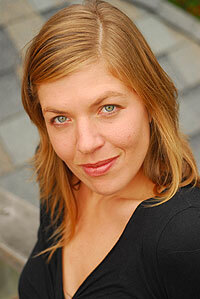 April 8, 2013 — University of Wyoming Department of Theatre and Dance Lecturer Sharon Huizinga has been nominated for one of Live Design magazine's Excellence in Design awards. 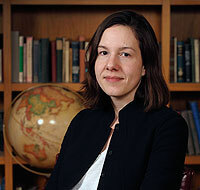 April 8, 2013 — Erin Forbes, University of Wyoming Department of English assistant professor, has been awarded a two-month Andrew W. Mellon Foundation Fellowship to study at the Huntington Library. The fellowship comes with a $6,000 award. April 5, 2013 — Comedian Josh Rabinowitz will offer his brand of comedy at 8 p.m. Wednesday, April 10, in the University of Wyoming Union Ballroom. The event is free and open to the public. 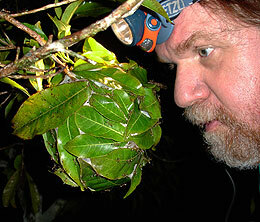 April 5, 2013 — Mark Moffett, known as the “Indiana Jones of entomology,” will discuss at the University of Wyoming the ways that modern humans are more comparable to ants than they are to chimpanzees. 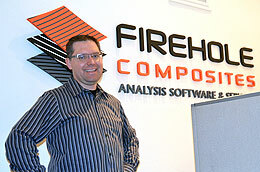 April 5, 2013 — Firehole Composites, a Laramie-based company whose origins sprung from the University of Wyoming’s Department of Mechanical Engineering 25 years ago, was recently purchased by Autodesk Inc., which focuses on 3-D design, engineering and entertainment software. April 5, 2013 — A weekly look at Wyoming business questions from the Wyoming Small Business Development Center (WSBDC), part of WyomingEntrepreneur.Biz, a collection of business assistance programs at the University of Wyoming. April 4, 2013 — After being on long-term loan to the University of Wyoming Art Museum, two large-scale sculptures by California artist Linda Fleming will be de-installed beginning Monday, April 8. April 4, 2013 — The indie rock band The Dear Hunter performs a free concert Wednesday, April 17, at 8 p.m. in the University of Wyoming College of Education auditorium. 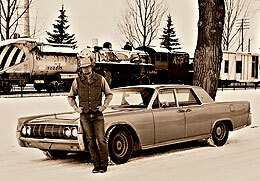 April 4, 2013 — A summer motorcycle trip to Wyoming three years ago changed the life of California native Doug Balmain, not only in terms of completing his degree work, but also jump-starting a burgeoning singing career. April 3, 2013 — Acclaimed violinist Ray Chen will perform at 7:30 p.m. Tuesday, April 9, in the University of Wyoming Fine Arts concert hall. April 3, 2013 — Wyoming resource experts have written a 48-page guide to help landowners prepare for and cope with wildfires. April 3, 2013 — Felicia Follum’s social justice-themed art, “#TheLilyPadProject,” will be displayed in the University of Wyoming Union Gallery 234 through Friday, April 12. April 3, 2013 — University of Wyoming Army ROTC members placed highly as a team and individually in the recent Bataan Memorial Death March marathon in White Sands, N.M.
April 3, 2013 — Wyoming wind power could benefit the Colorado electric grid both economically and environmentally, according to a study headed by a University of Wyoming professor. April 2, 2013 — Panel discussions, lectures, performances and other activities to help eliminate social inequality are scheduled during the 17th annual Shepard Symposium on Social Justice April 3-6 at the University of Wyoming. April 2, 2013 — University of Wyoming students are invited to a free movie night courtesy of Friday Night Fever. April 2, 2013 — A leading Parkinson’s disease researcher will discuss his work Thursday, April 4, at 7 p.m. in Room 129 of the University of Wyoming Classroom Building. 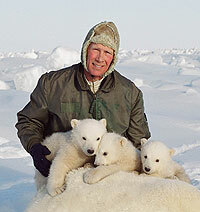 April 2, 2013 — What is it like to study polar bears on the Arctic sea ice? What kind of data do scientists collect? Teachers, students and the public will have the chance to meet polar bear scientists and ask questions via three free public education events April 8-9 at the University of Wyoming. 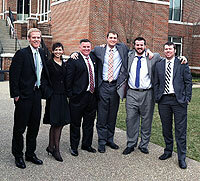 April 2, 2013 — Two University of Wyoming College of Law teams finished among the top eight teams during the recent third annual National Energy and Sustainability Moot Court Competition at the West Virginia University College of Law. 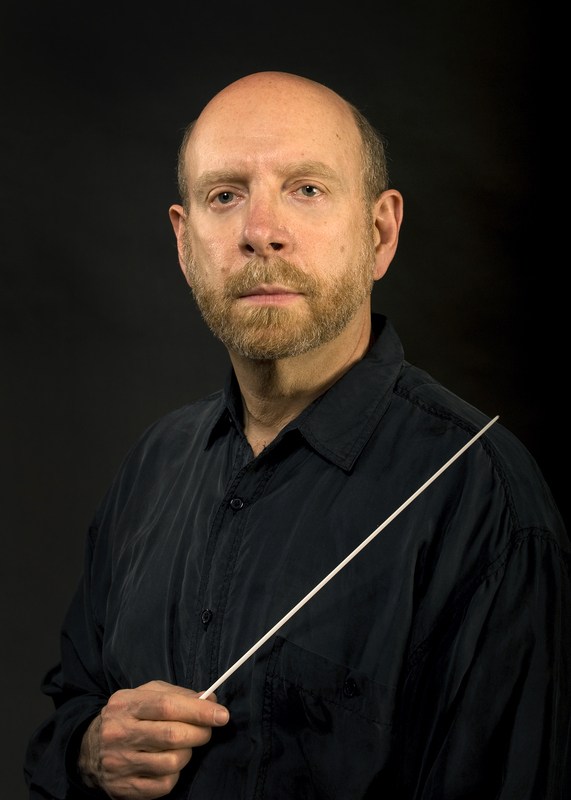 April 2, 2013 — “Hot off the Press: New Collaborations for Clarinet, Keyboards and Voice” is the next performance in the University of Wyoming Faculty Recital Series at 3 p.m. Sunday, April 7, in the UW Fine Arts concert hall. 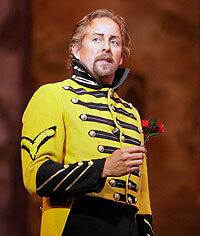 The concert is free and open to the public. April 1, 2013 — University Disability Support Services (UDSS) will host a variety of Disability Awareness activities this week at the University of Wyoming. 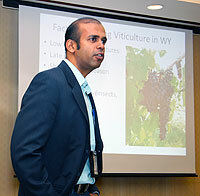 April 1, 2013 — Research and commitment to teaching have earned an assistant professor of horticulture in the University of Wyoming Department of Plant Sciences the 2013 Young Scientist Award from the Society for In Vitro Biology. April 1, 2013 — A solid weekend showing at the Colorado State University (CSU) rodeo enabled the University of Wyoming men’s rodeo team to climb into second place, inching the Pokes closer to the overall Central Rocky Mountain Region (CRMR) lead. 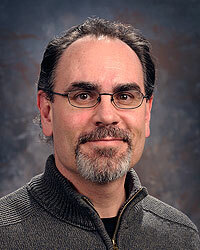 April 1, 2013 — Jose Rosa, professor of marketing and sustainable business practices in the University of Wyoming College of Business, has been named an American Council on Education (ACE) Fellow for the 2013-2014 academic year. April 1, 2013 — A weekly look at Wyoming business questions from the Wyoming Small Business Development Center (WSBDC), part of WyomingEntrepreneur.Biz, a collection of business assistance programs at the University of Wyoming.